Under the patronage of His Highness Sheikh Mohammed bin Rashid Al Maktoum, UAE Vice President and Prime Minister and Ruler of Dubai, The Department of Economic Development (DED) organised the 25th Annual Dubai Business Excellence Awards, to recognise outstanding pursuit of excellence in business practices in 2018. 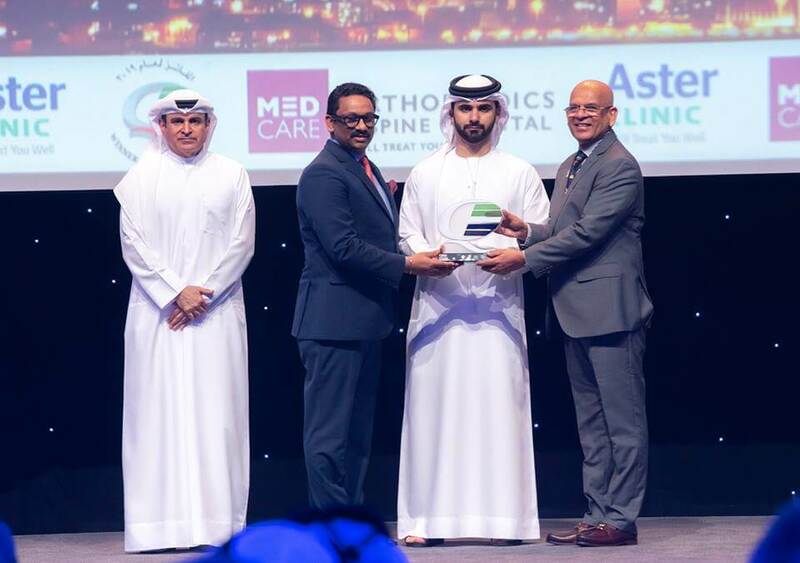 Aster DM Healthcare, one of the leading healthcare service providers in the UAE and the region, picked up four recognitions of distinction at the coveted Business Excellence Awards under the healthcare category. Aster Clinics received the Dubai Quality Appreciation Award for successful implementation of the European Foundation for Quality Management (EFQM) model which promotes business excellence supporting delivery of quality care to patients.